A product we created for a Somerset Life Magazine Christmas recipe. 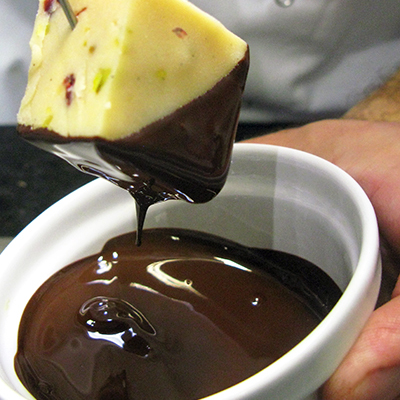 Sweet handmade fudge with chopped pistachio and cranberries, dipped in Belgian chocolate. We then dust the chocolate with crushed pistachio while it sets.